I am currently in class, covering my ears while the professor talks his life away. Now that I’ve got that off my chest, let’s talk about Moro De Habuchuelas. English? 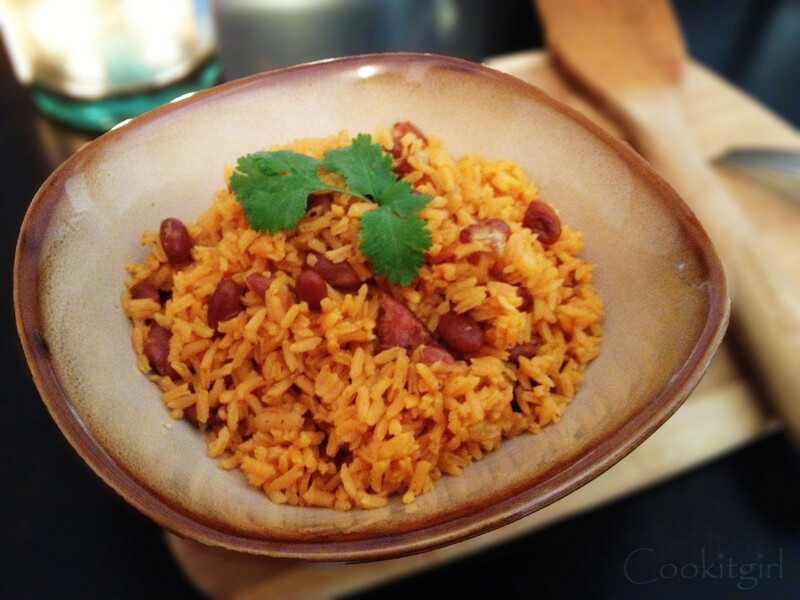 Rice with beans together in a beautiful blend of savory spices. Let me stop! I can’t honestly talk to you all like this! Let’s be real, Moro De Habichuelas is the bomb diggaty! 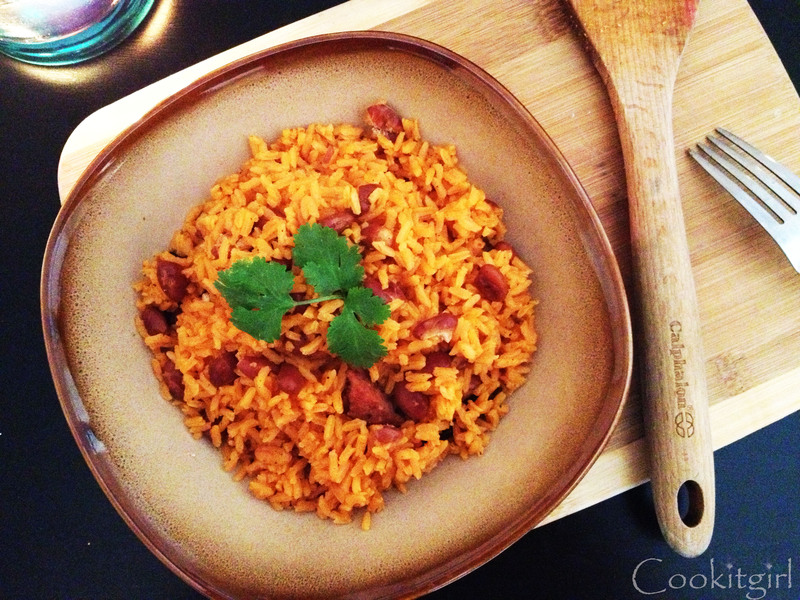 This dish is typically found in the Caribbean’s but of course the United States got a taste of this amazing rice and you can find it in pretty much every state! And if you can’t find it already made, then here is the recipe! Moro De Habichuelas gets most of its flavor from the sausage, ham or bacon you fry up in the begging of the recipe. The Sofrito and the seasoning get soaked up by the rice giving you a savory treat. Feel free to use the beans that come in a bag. I just use the canned beans because I’m extremely lazy at times and it takes way too long to make the other ones. I heard something about leaving the beans soaking in water over night so they can soften and yup not my..thing. So on that note, let’s move along. Try to taste the water of the rice while you go. The water should always be more seasoned than expected. Why? No, it’s not just because I like over seasoned food, but because the rice soaks up the water and it needs enough salt to taste um, what’s the word? Exquisite! I’m really trying here, can you tell? It’s been WAY too long. Like seriously it’s been forever. There have been lots of changes and a lot of planning in my life and now I know that I can’t go another couple of months without blogging ever again. 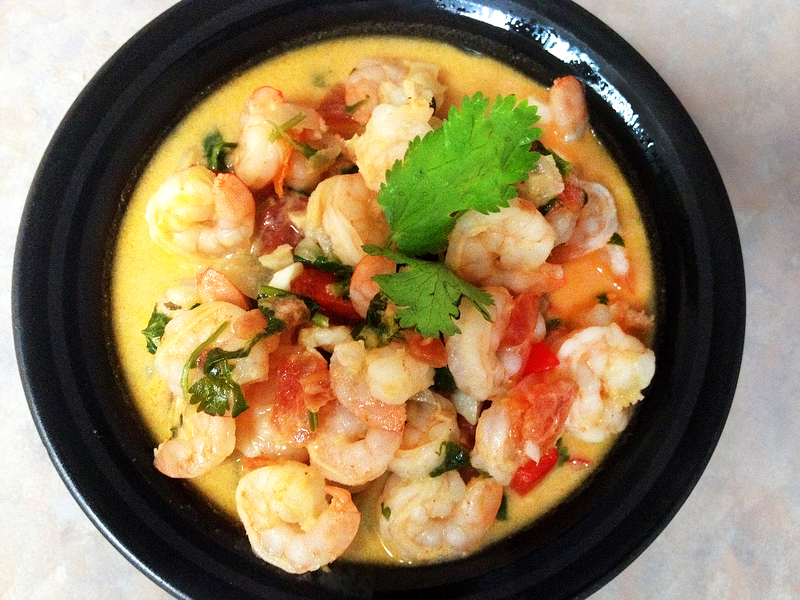 With that being said, here is a simply coconut shrimp stew recipe which goes great over rice! This past month has been such an amazing month! Is anyone out there with me on this!? I really hope so because I can’t seem to contain my excitement! I was proposed to by the love of my life and I feel so blessed! You would think that news would be the only big highlight of my month but add my dream job on the side and it’s a perfect dish! I can finally say HARD work has paid off. Don’t give up. Are you hearing me!? Never ever give up. Fight for love, fight to get that job or promotion. You can do it! Boy was is really hard climbing up that mountain but now it seems so small. Stay with me here. There is no mountain you can’t overcome. Put on your sneakers and run up that mountain! Ok, maybe not run but you know what I mean. It’s a fresh breath of air when I can take time to post a recipe. Although you might have seen this type of recipe before I PROMISE they aren’t as easy as this one. I have baked these suckers like 100 times. I LOVE them. I am not the best baker, I leave that up to my friend that loves to bake. Me? Not so much BUT I love trying. That moment when any baked good actually looks good is a big pat on the back for me, from me. Yea. Moving on, you have to try these! They are chewy inside and crunchy on the outside. AMAZING. Don’t believe me? Good! Try it, than we can talk. Did you see how convincing I am to get you to bake!? So go on and bake already! 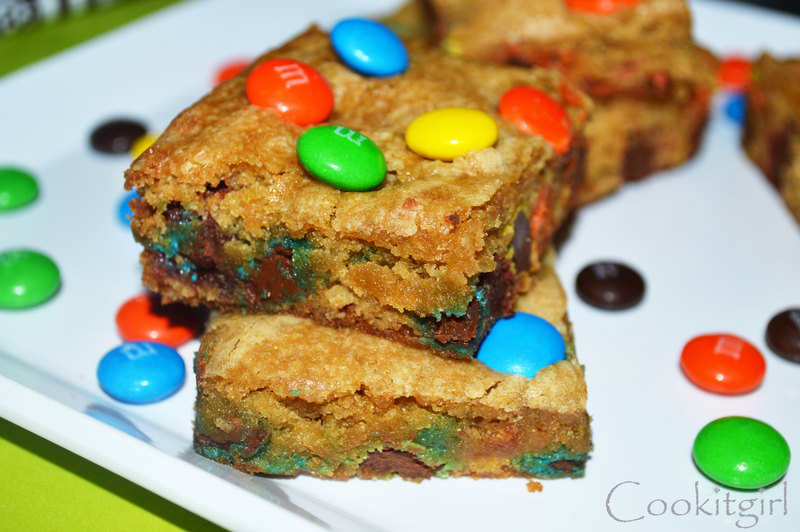 If you have a get together, dinner, birthday or any type of party ever invented, and take a batch of these M&M Cookie Bars, seriously, you won’t regret it. You will A. Look like a professional baker, B. probably be the only one who actually backed something at home that you didn’t buy, which brings me to C. you are the hero of the starving souls that crave something sweet. ALL OF YOU ROCK MY SOCKS! 100 NEWSLETTER SUBSCRIBERS LATER AND I FEEL ON TOP OF THE WORLD! I think this is becoming a habit but who cares! I’ll say it a million times, THANK YOU for your love and support! You might think this recipe sounds a bit absurd but it is SOOOO good! 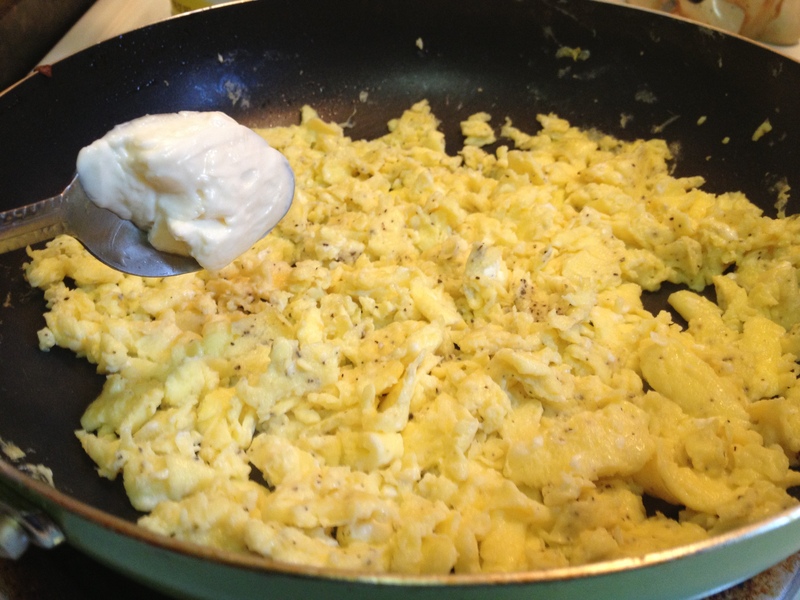 I grew up eating these scrambled eggs with pretty much everything. Who does them the best? Why my mother of course! But luckily I am able to share this delicious recipe with you all. 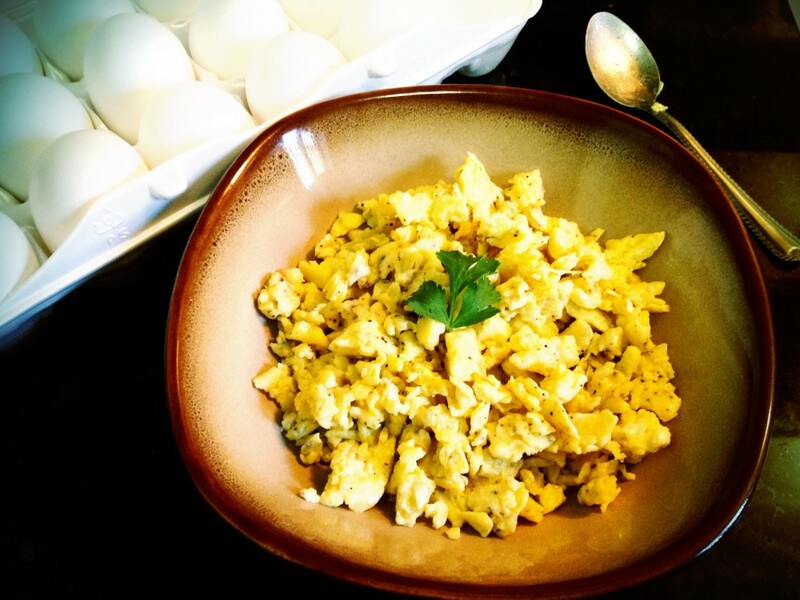 Scrambled eggs doesn’t get so much love because, well, their kind of plain most of the time. Unless you are adding ham or turkey, its pretty much salt and a scrambled egg! Fear not my friend; I have a scrambled egg solution for your taste buds. Have you ever had days where you don’t know what to cook? Like nothing comes to mind at all!? I have those days all the time. It’s going to sound kind of dorky but when I wake up in the morning I promise I’m already thinking about what I’m going to cook for dinner. So on these moments when I’m in the kitchen making life decisions I turn to take out food that I can make at home. In another life I was half Chinese, half Italian. I can eat pizza and fried rice everyday if I had too. Unfortunately I can’t because I’d turn into a whale but it’s definitely on my wish list if I ever find a magical lamp! Fried rice any one? 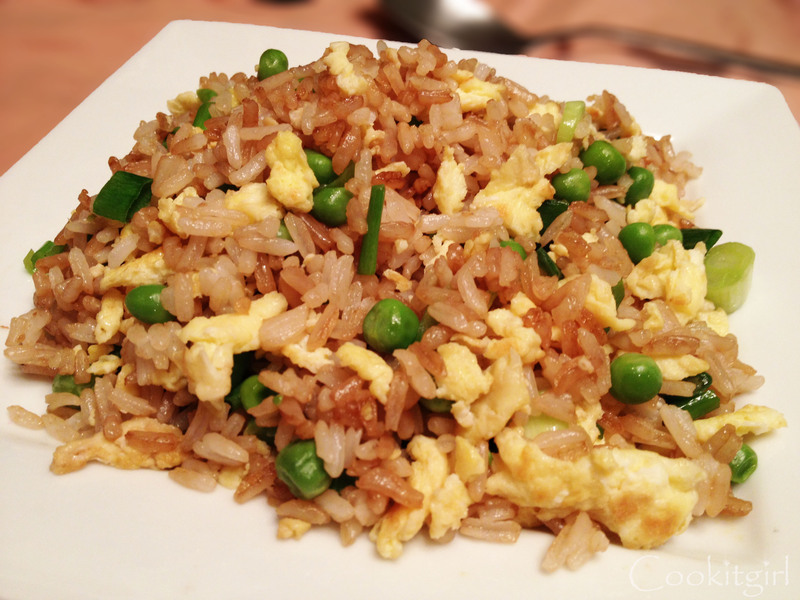 Here is an extremely easy recipe for fried rice. The great thing about fried rice is that you can literally add anything you’d like to it. 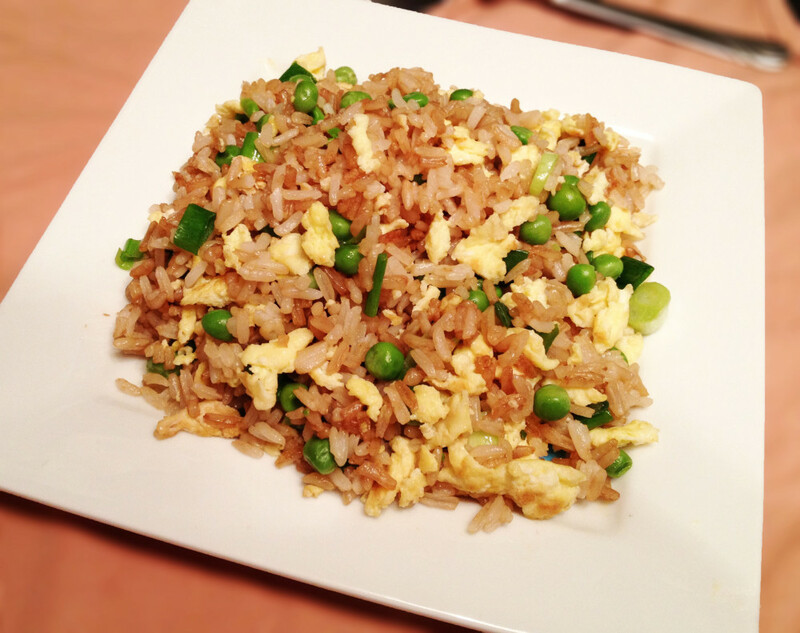 In this recipe I added peas, eggs and scallions. I love the crunchiness of the scallions. This can go with any type of meat or chicken. Now let’s talk about soy sauce. You have to be very careful while picking soy sauce. Soy sauce is super salty. Just a few table spoons are enough. I buy the “La choy lite soy sauce”. So forget about going out to buy take out and have homemade take out! 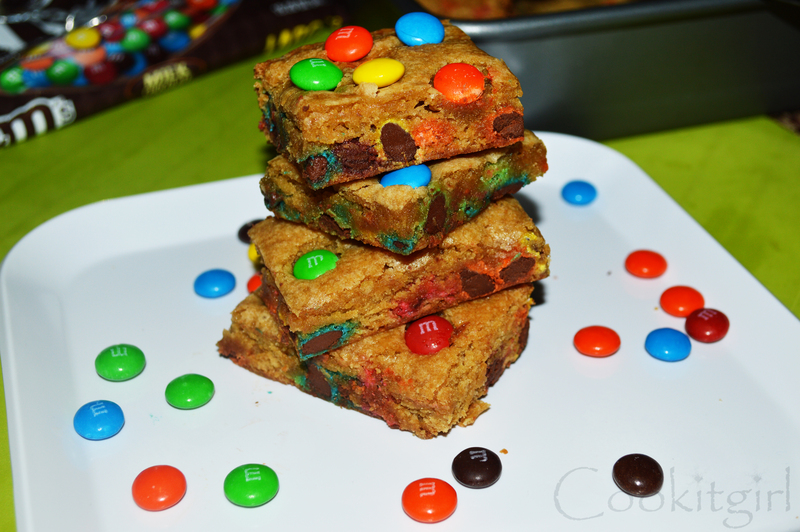 I will leave you guys to this recipe that you must try. It’s easy, tasty and you’ll look like a professional cook. Isn’t that what we aim for any ways!? Um I know I do. 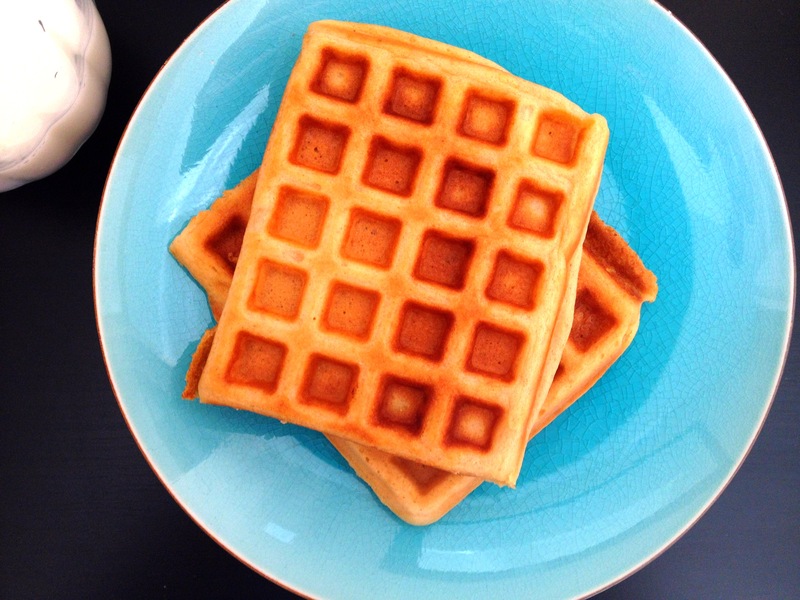 The Best Waffles Ever Recipe Below. Enjoy! I’m super late but, HAPPY NEW YEARS! If you don’t know already, I work full time and also go to school so when I do find time I write a new post. I hope you feel bad enough for me to forgive me for such a late post about New Years… feel bad…very bad! Ok be happy again! Happy New Years to all you beautiful readers! 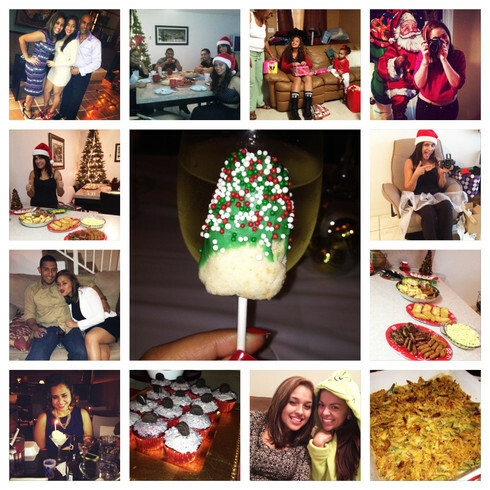 December was filled with love, family and friend bonding time and lots of eating! Once again I’m over doing it with the exclamation points but how can I possibly show my excitement while writing this post!!?? Back to December, oh how I wish I could rewind life’s nonexistent DVR and replay December. First of, my beautiful cousin in law Denise invited me to her 25th birthday celebration and boy did we have fun! I think I danced enough for the whole group, not to mention everyone staring at me had a confessed expression on their face. 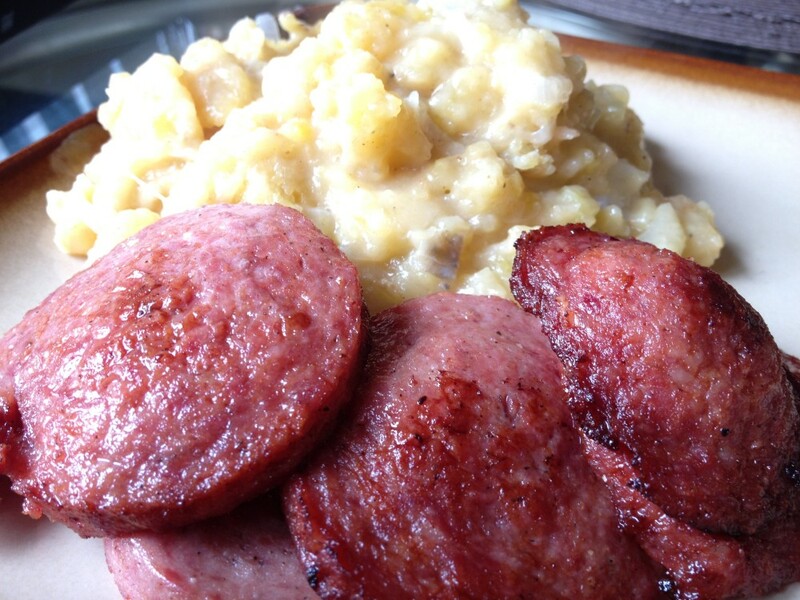 Mangu con Salami Recipe Below. Enjoy! It’s the most wonderful time of the year. Yes! Its Christmas time! Can you hear my excitement with all my exclamation points!!! I am the world’s biggest Christmas fanatic. The obsession gets worse and worse every year. I am not afraid to say it. I’m kind of not in denial at all. I mean seriously, any reason I can find to hang out with family and friends and cook all day? Count me in. I am so privileged to have been able to decorate two Christmas trees this year. Therefore, I feel I deserve a Christmas tree decorating award and no I will NOT post pictures of them, I’m not sure you’ll want to see them, like at all hehe. The lights + Christmas trees + love + Christmas music = happiness for me. Moving along to this mouth watering recipe, if I haven’t said this before well now you’ll know that my mom is from Puerto Rico. A lot of my recipes basically come from there. I learned this recipe from my mother dearest. She is pretty awesome (Just had to throw that in there). 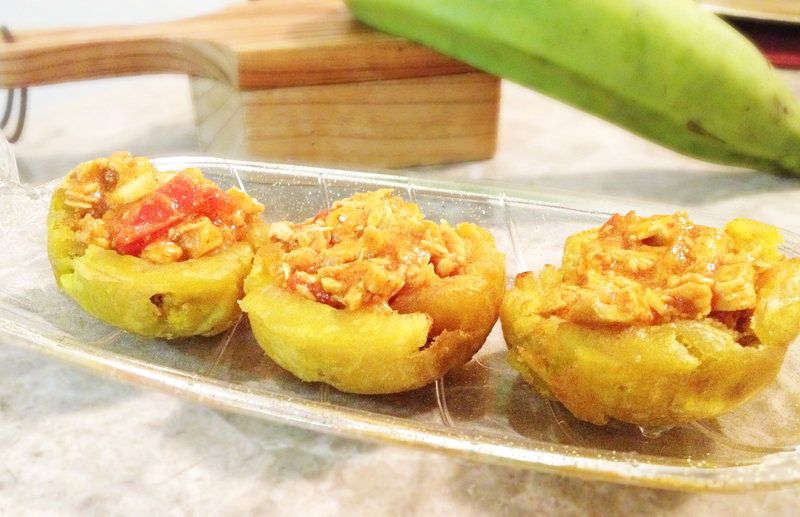 It’s a fried plantain formed into a cup filled with chicken and delicious spices. Why is it so mouth watering? You get the full package with this recipe. You get the crunchiness of the fried plantain and you get the delicious spices from the savory sauce of the chicken making a beautiful explosion of flavor in your mouth. Can you picture it in your mind now? That’s what I was aiming for. 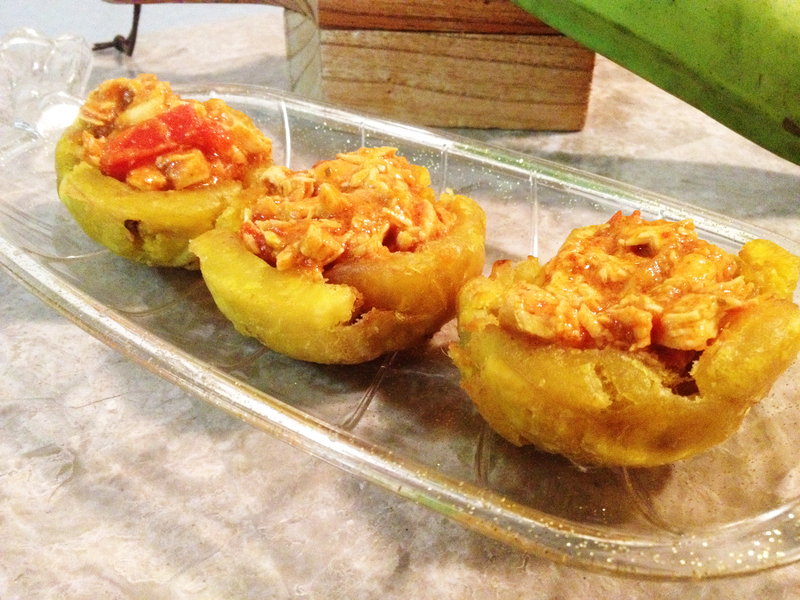 This dish is fun to make with family and friends. While one fry’s, the other mashes the plantain into a cup. Pretty cool huh? I know. I tried my best to show the process step by step. If for whatever reason you get confused please let me know and I will help you out. I want to take time to wish everyone a very Merry Christmas! I hope everyone can spend this very special time with your loved ones. Once again thank you for all of your support and love! The Cook It Girl family is growing and it’s the best Christmas gift a girl can ever ask for. Merry Christmas!!!!! Pancakes! Really!? Who doesn’t love them? I’ll take this time to speak for the majority of us, and say out loud I FREAKING LOVE PANCAKES! Not only do I love them but I can also eat them at any time of the day. It can be 8 o’clock in the morning or 12 o’clock midnight and you will find me in the kitchen getting my pancake groove on! Funny thing is that I have a story behind pancakes. It goes a little bit like this; Once upon a time there was a young little cow by the name of Ambar and she LOVED her best friend Aunt Jemima. Ambar never wanted to try to have new friends like pancakes from scratch from down the street, she was actually scared to even try to talk to her till one day she decided to kick her fears to the side and try! She made pancakes from scratch and lived happily ever after, the End! These pancakes are super easy, I mean extremely easy. Are you listening right now!? If so, go march into your kitchen and whip up this recipe, and pretty please tell me how they came out or you can just send me some through mail! By the way, believe it or not I am currently blogging while my science professor is talking his life away .Ugh. 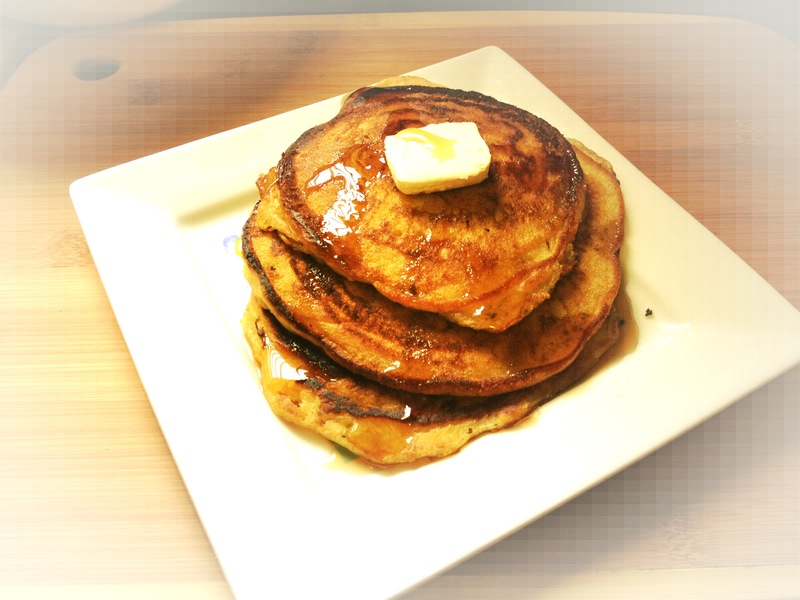 Any who’s, getting back to the scrumptious buttermilk pancakes, YOU need to try this recipe! The pancakes come out fluffy, filled with flavor and once you pour syrup on them, boy oh boy you will be loving it! Yes, you have to buy buttermilk or make it yourself( which I have yet to try to make) but its sooooooo worth it!